All of our paddlers need support, please follow the conduct guide below. 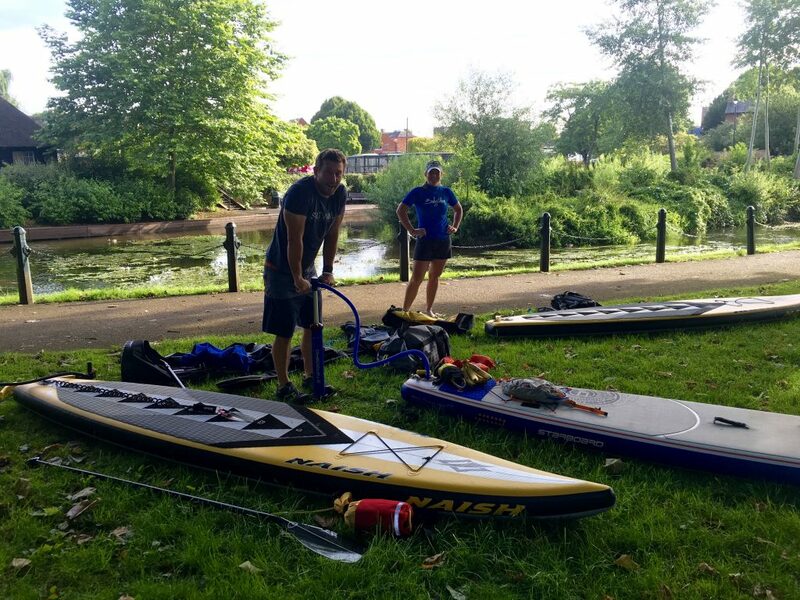 Supporters perform a vital role in providing food, drink and spare kit to their paddlers and monitoring their well-being. They are an essential and valued part of the TRENT100. The behaviour of support crews affects public perceptions of the TRENT100 as much as, or more than, that of competitors. Supporters must behave responsibly and considerately at all times and shall observe restrictions along the course and adjoining areas as may be imposed by the Organisers. Competitors are responsible for the conduct of anyone who turns up to watch or support them. Competitors/Team Leaders must ensure that all support crews read these rules. Ignorance will not be an acceptable excuse in the event of a protest or penalty. The TRENT100 Organisers will not tolerate any physical or verbal abuse whatsoever. Abusing, assaulting or deliberately impeding any official in any way will result in disqualification and may also result in a ban on the individual, crew, team or organisation concerned from taking part or being involved in future TRENT100s. Lack of sleep or the emotion of watching close friends or relatives under extreme physical stress can cause supporters to behave inappropriately. However, any breach of these rules may result in a penalty being imposed on the crew being supported. Each team should have a Chief Supporter who is responsible for any communications with TRENT100 Control, and who TRENT100 Control will attempt to contact in the first instance if there is any problem. The Chief Supporter of each crew must confirm/provide the Challenge Secretary with their name and mobile phone number as required on the Entry Form. They should also supply a landline number of a supporter who can relay messages should mobile communication fail. Support crews must be readily available at all times to be contacted by TRENT100 Control. If you cannot be contacted immediately you may receive a text asking you to make contact. You should check for messages at regular intervals. Penalties will be imposed on crews whose supporters are found to be un- contactable on the numbers provided. Common sense is to be the underlying principle of the supporting arrangements. The Organisers will not penalise anyone who provides sustenance, replaces essential kit or effects repairs to a challenger’s board in the event of a proven emergency. Substantial penalties will apply to any crew, team or organisation deemed to be in breach of the spirit of the rules. Do not race from checkpoint to checkpont as you will arrive too early and add to congestion at the next checkpoint. The average speed of a SUP on the river is less than 10 kph. Observe local parking restrictions; do not obstruct emergency access or driveways, railway crossings or junctions. Do not park on private property. Observe specific TRENT100 access and parking rules. Do not swamp the course with support crews and vehicles. Minimise the number of cars following. Do not allow dogs to cause nuisance of any sort. Keep noise and disturbance to a minimum in residential areas, especially at night. Obey instructions from officials at locks, where access may be restricted on safety grounds to one person per crew. Other restrictions may apply. In all cases, follow directions from TRENT100 officials. Substantial time penalties will apply to crews whose supporters ignore any of these restrictions or closures. 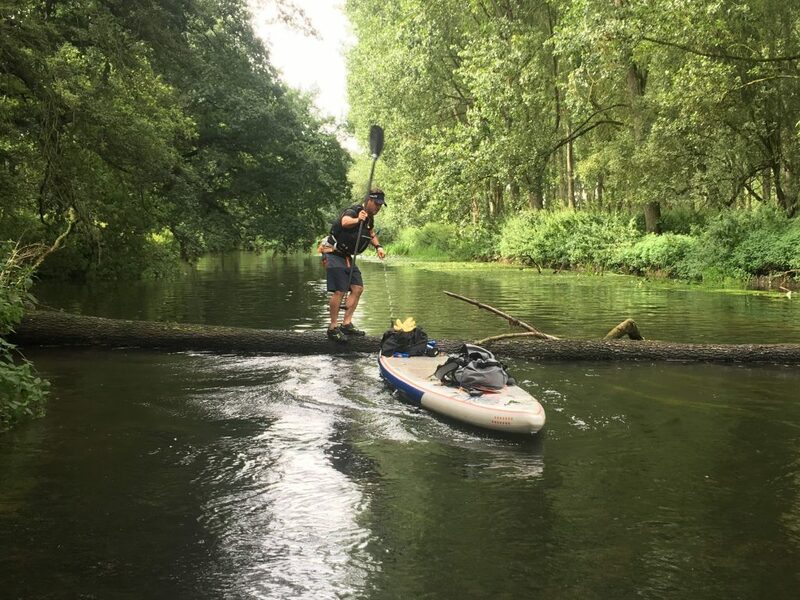 Whilst the challenge has been designed to be completed within the 10 hours of daylight for some teams the final stage of the river Trent on day two may be completed in low light. In low light do not shine lights directly at paddlers as it damages their night vision. Do not use flashing or novelty lighting. Carry spare white light-sticks and torch batteries. At a portage, only supporters with an arm band may provide food and drink or other physical support to competitors. “At a portage” is defined as “anywhere along the challenge near the water’s edge”. The Organisers urge other spectators to avoid portages and go to alternative viewing places such as bridges, river-side or canal-side roads and other open ground near the water.